Brazil Quina is one of Brazil’s hottest lotteries and has draws almost every single day of the week—except Sundays. Although its jackpots start at only R$400,000 (€94,847), they can multiply exponentially since both jackpots and rollovers are uncapped. But what else stands out about this game? 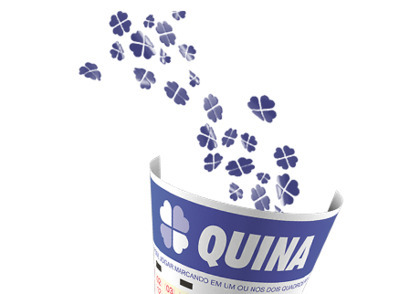 Quina began way back in March 1994 when the Caixa Company, which operates one of the biggest banks in Brazil and most of Brazil’s other major lotto games, decided to create a new type of lottery that hadn’t yet existed in the country at the time. In contrast to the raffles and sweepstakes that were commonplace then, Quina was the first time that players were able to choose their own numbers. It might seem silly now that it took this long for this concept to be introduced, but back in those days few lotteries anywhere in the world offered that option. Naturally, people loved this new concept and in October 2009 Caixa decided to increase the weekly number of draws to six, which today is one of Quina’s most appealing features. Of the proceeds that Quina brings in, about 33% go to the government to fund various initiatives and organizations around the country. It’s easy to grasp Brazil Quina’s mechanics and play the game because it uses a single-matrix format comprising 80 numbers ranging from 1 to 80. Players choose 5 numbers, and if their selection matches what is officially drawn, then they’ll win the jackpot. There are no bonus or extra numbers with Quina. However, if you wish to increase your chances of winning and don’t mind paying a bit extra, you can choose 6 or 7 numbers. If any 5 of them match the 5 that are drawn, you’ll still win! Once a year there is also a special draw that takes place on June 24 to celebrate the Festival of Sao Joao. This Super Draw has a much bigger jackpot than the regular draw and has reached as high as R$80 million (€19 million). So, if you’re going to try your luck on just one draw, this is the one to do it with! To be honest, the odds-to-prize ratio of winning a Brazil Quina jackpot isn’t great. That being said, it’s certainly not the worst either, as your chances of nabbing the jackpot are 1 in 24,040,016. If the grand prizes were much bigger, these odds could be considered fairly good, but there are other lotteries out there that have bigger prizes and better odds. France Lotto, for example, has odds of 1 in 19,068,840, Canada Lotto 6/49 has odds of 1 in 13,983,816, Austria Lotto 6 aus 45 has odds of 1 in 8,415,060, and Hungary Hatoslottó has odds of 1 in 8,145,060. One of the things that makes this lottery so interesting is that its draws take place a whopping six times per week. As there are very few lotteries around the world that do this, this is quite a special feature. The draws occur on Mondays through Saturdays in Brasilia at 8 pm BST. The only possible payout option with Brazil Quina is a one-time lump-sum payment. If you’d prefer to get your jackpot paid out to you on an annual basis, you won’t find that here. All winnings must be collected within 90 days of winning them; otherwise, they are considered forfeited and will be donated to the National Educational Foundation. If you’re fortunate enough to win a prize in Brazil Quina, you’ll technically be taxed 13.8%, but you might not even know it. This is because the taxes are already deducted before the jackpots and other tiers’ prizes are ever publicly declared. Therefore, you’ll take home the exact amount that’s promoted. 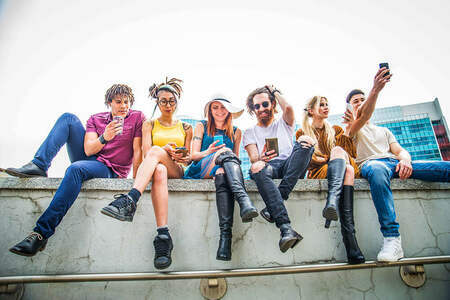 However, if your home country also taxes lottery wins, then you could be taxed a second time when you transfer the money back into your bank account. Although you won’t find Brazil Quina on all of the online lottery sites out there, you’ll definitely find it on some (see full list at the bottom of this article). The best ones will not only let you play but will also let you increase your chances of winning by playing through either a syndicate, a subscription, or both. Many also have lots of other great features, such as automatic notifications if you win a prize and direct payments into your player account. Brazil Quina – Is It Worth Playing? While Brazil Quina isn’t exactly our favourite international lottery, it’s still a pretty good one, all things considered. Though the odds are tough, they increase if you decide to buy 1 or 2 extra balls on top of the 5 that make up a normal line. Furthermore, the price of a ticket is quite cheap, and it’s nice to know that since taxes are deducted before any prizes are advertised, you’ll be able to collect those exact amounts.